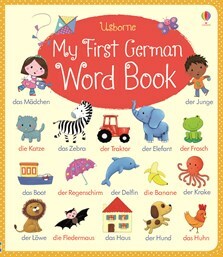 Young children can build their German vocabulary with this delightful illustrated word book. With colourful illustrations of over 270 German words for children to spot, talk about and learn. Sturdy board pages mean this book will withstand being looked at time and time again.